Kathy Elliot serves San Diego Zoo Global as Assistant Librarian. In this role, she is responsible for the Library’s website, the weekly Zoo & Conservation News, and cataloging new library materials. She provides a variety of services to staff and volunteers, including reference assistance, training in information research methods and resources, and library outreach at the San Diego Zoo and Safari Park. Kathy’s primary focus is maximizing staff access to key information resources through the Library’s website. Her current major project is the implementation of LibGuides as the information presentation platform for the library’s fact sheets, research and training guides, and databases. During the design and migration process, she is updating website content and creating video tutorials on how to find and use library resources on the new platform. She recently converted the popular Zoo & Conservation News into a polished, semi-automated online newsletter that can be produced more efficiently and reach a broader audience. 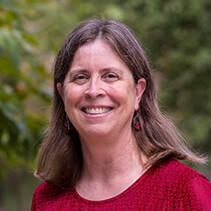 Kathy earned her bachelor’s degree in zoology from Humboldt State University, her master’s degree in biological sciences from Stanford University, and her Master of Library and Information Science from San Jose State University. After working as a molecular biologist in academia and the biotech industry, she joined San Diego Zoo Global for the opportunity to promote wildlife conservation through her information skills, research experience, and lifelong interest in natural history. She serves as Secretary for the San Diego Chapter of the Special Libraries Association and previously served as Director and Student Liaison. Kathy and her husband foster senior dogs for American Brittany Rescue and spend their free time exploring the high peaks and red rock canyons of the American West.